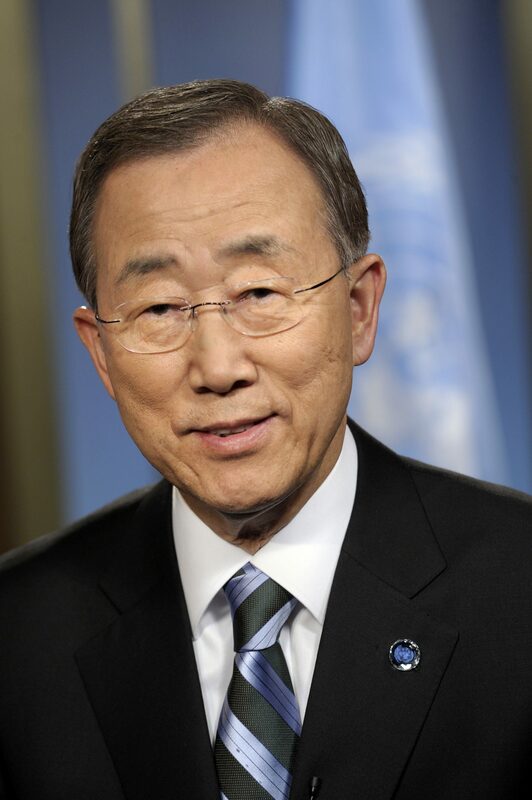 Ban Ki Moon, United Nations Secretary General. The Boston Global Forum is recognizing Ban for leading the UNESCO Global Education First Initiative whose aim is to put every child in school because education is a right, improve the quality of learning to include improving world literacy and foster global citizenship that cultivates respect for the world, each other and prepares children for the interconnected challenges of the 21st Century. Additionally in 2016, the Secretary-General worked to reduce conflict and suffering in Syria, Kashmir, along the India-Pakistan border, in Ghana and between Israel and the Palestinians. He also commended the Columbian government and The Columbian People’s Army (FARC-EP) coming to a modified peace agreement. The Boston Global Forum established “Global Cybersecurity Day” to shine a harsh light on the growing menace of cyber threats and to call for a worldwide effort to create a secure and clean Internet environment and to prevent the outbreak of cyberwar,“ explains Tuan Anh Nguyen, BGF cofounder. Nguyen is widely credited for bringing uncensored and open internet access to modern Vietnam.